This will be a special evening at Club Integral Midlands Branch, with three live acts reuniting / reforming / returning to play for us at The Edge in Birmingham. Kenny Process Team are long-time favourites of CIMB, whose music has been described as a ‘joyful mélange, influenced by everything from ragtime to Beefheart to Congolese soukous’. After the sudden passing of guitarist and composer Simon King last year, member of Kenny Process Team and founder of Club Integral, Vacilando ’68 recordings are honouring him by releasing a remastered vinyl version of the classic cassette-only release, ‘Trav’lin’ Light With… Kenny Process Team’. To promote the release KPT are embarking on a tour of UK at select venues, starting with Birmingham. Don’t miss this rare opportunity to hear them live. Twenty five years is an unusually long time between albums, but nothing is ever straightforward with Kenny Process Team. Their magnificent 1994 debut, “Surfin’ With…” was recorded as a three-piece, with guitarist Kev Plummer, bassist Matt Armstrong and drummer Dave Ross occupying the three corners of a perpetually skewed triangle. Shortly after its release they were joined on guitar by Simon King, who brought with him a rhythmic energy, a new palette of tonal colours and a dominating stage presence. Their wonderful performances oscillated between thunderous urgency and intricate delicacy; this mono cassette recording of a 1996 show captures that incarnation of the band at their very best. “Bundle”, the album opener, establishes the blueprint. Ross and Armstrong, the most imaginative of rhythm sections, build Escher-like structures for the band to play on, ever-shifting and indefinable. Plummer’s arresting and evocative themes are chased backwards and forwards by King, occasionally becoming caught in his grasp before triumphantly wriggling free. This joyful mélange, influenced by everything from ragtime to Beefheart to Congolese soukous, has great immediacy while remaining curiously enigmatic. “Fantastic Four” sounds like the catchiest tune imaginable, but can you hum it? The unexpected semitonal shifts of “Tug” add an eerie element to an otherwise tranquil lullaby. “The Romans” and “Open Sesame”, reprised from the debut album, are delivered with an effortless flourish, while the baffling twists of “The Song We Don’t Like” see the band trapped in a maze of their own construction. The concert ends with “Tantrum”, where King cuts loose with the most improbable and yet somehow perfect lead guitar lines, while his bandmates offer their support with an insistent, one-legged rhythm. And then it’s all over. A great many concerts are recorded on the off-chance; very few stand up to repeated listening. This, however, is a true masterpiece. What do you call an orange in the snow? 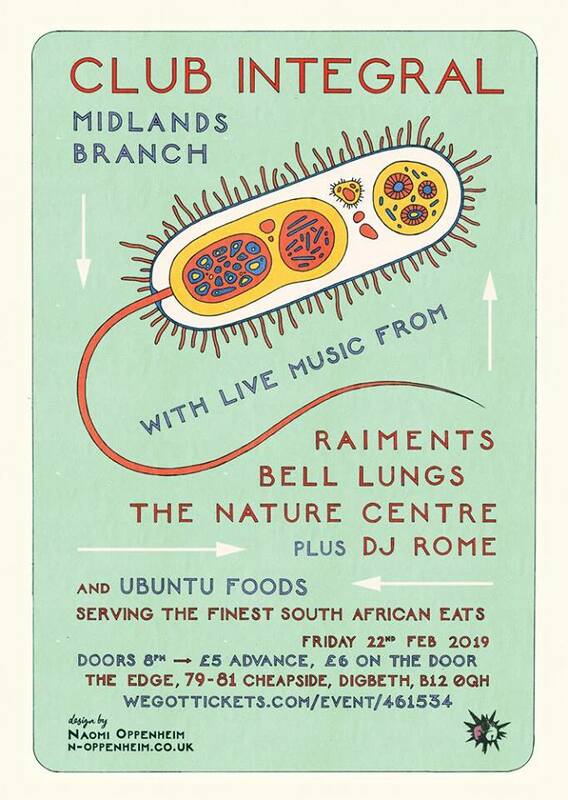 Risen from the depths like a dazzling seed loaf, the founding fledglings of Inclementine (the gone-but-not-forgotten reprobates of non-pop) reunite at Club Integral Midlands to show us what they’ve learned in their years apart. Expect old and new from their post-sorrowful milieu… a tribute to beautifully wasted afternoons in the Capetonian Sun and stoic strolls thru fox-addled neighbourhoods. Expect strings, piano, bass, musical bows and three-part harmony. who first met on the bus replacement service from Mile End Tube station to Leyton 21 years ago, express their love for the Norfolk idyll they’ve made their home. Expect peaceful duets for lap steel guitar and overtone instruments as they bring sounds of a rural Broadland to our industrial Midlands lounge. And the delicious Ubuntu Bakery & Foods will be with us once again, feeding us the very finest vetkoek, loved by near and far. Please note, The Edge is a cash-only venue. For several years this instrumental combo was active out of its London base. The intricate guitar-centered themes were largely composed by Kev Plummer, who would then teach the pieces phrase by phrase to bassist Matt Armstrong. The trio was completed by a drummer who figured out a way to play with sticks that had been shaved in half lengthwise, the result of attempts to play more quietly when the group’s rehearsals aroused frequent complaints from the neighbors. New album ‘Not So Secret Garden’ out now on Red Wig (Germany) and Mon Cul (France). Solo acoustic bass and singing; third album, ‘smaller, now’ (February 2016) is a joint release with The Audacious Art Experiment (UK) and Red Wig (Germany). 7″ of bass duets with Minutemen/Stooges legend Mike Watt was released in September 2015. The Happy Couple are Judith Goodman on strings and David Ross on Jew’s Harp and Mouthbow. They are truly a happy couple, who first met on the bus replacement service from Mile End Tube station to Leyton 21 years ago. The pair live at the southernmost tip of Epping Forest, where they like to spend much of their time, weather permitting, playing music to the birds and trees. 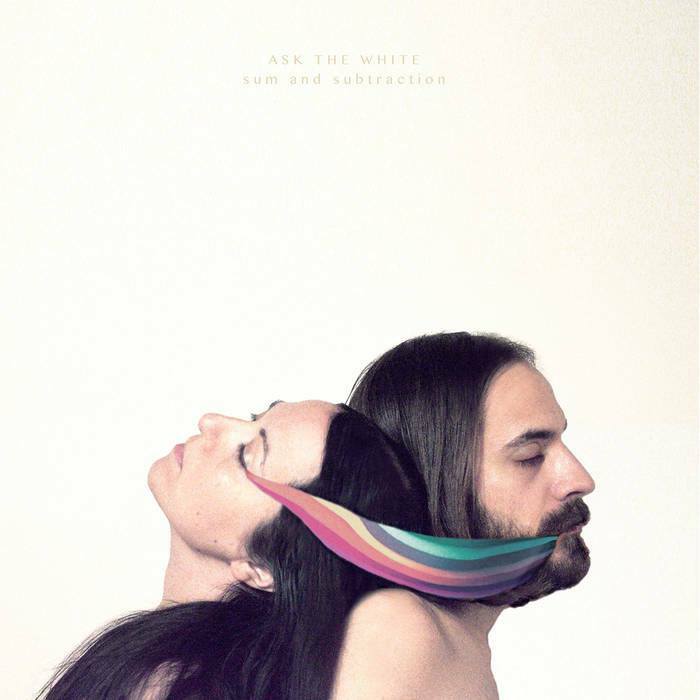 Ask The White is Isobel Blank (Ant Lion, Isobi, Vestfalia), artist and songwriter, and Simone Lanari (Ant Lion, Walden Waltz, Sycamore Age), producer and composer. Their first album together “Sum and subtraction” has been released on the 12th October 2018 on LP by Ammiratore Omonimo Records (AOR), a label created and managed in Rome by vonneumann. The album will then be released on CD in Japan in 2019 for Athor Harmonics, Kenichi Mori’s label and music production studio based in Tokyo. Their music is deeply rooted in the folk tradition, but at the same time is open to the wildest contamination, offering a sophisticated sonic palette. Ask The White’s songs are marked by dense and minimal guitar fingerpicking, intertwined with electronics and electroacoustic elements. Intimate lyrical melodies cyclically evolve into two voices harmonies, as arrangements expand and develop dynamically creating extremely pleasurable gems. The music is a diverse mixture of instrumental colours, melodies, and words. The songs present social and political critique alongside personal moments and moods. In the words of Mike O’Toole (Beat Magazine) “Their sound is unparalleled and cannot be categorised. It is a rejection of docile adherence to a single musical style”. 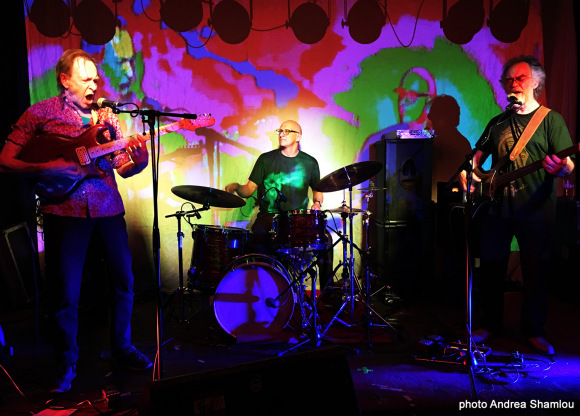 PsychoYogi are based in london and have been together for around three years with the current line up, which includes, Chris Ramsing, Guitar and vocals, Chris Sansom, Bass and vocals and Arnold Lane, Drums. The music is both challenging and accessible and is influenced by many musicians and composers including Frank Zappa, King Crimson, XTC, Captain Beefheart, Gentle Giant, Bach, Bartok and many more. With live music from the highlands, the middle-lands and the overseas-lands… we return home to The Edge, with our hosts Friction Arts, for the first Club Integral Midlands Branch of 2019! Tickets are a fiver in advance, available to buy now, or six on the door. Delicious South African nosh will be on sale from Ubuntu Bakery & Foods. Looking forward to avantgarde lo-fi experimental art pop poetry from Raiments, a Berlin-based avant garde musical collective, brainchild of lead vocalist and multi-instrumentalist Mano Camatsos. Mano’s unorthodox electric guitar style is inspired by hip hop, ethnological recordings and contemporary classical music. His abstract lyrics meet an ever rotating procession of strings, woodwinds, brass and electronics with a pleasing groove. Also joining us is the wonderful psychedelic noise dream pop drone songstress bell lungs. An experimental vocalist and multi-instrumentalist from Scotland, she responds to and reflects the fractured world we live in. Her performances incorporate mellotron swirls, shrieks and whoops, layered harmonies, baroque pop feels, drone, field recordings and noisebox mayhem. Bell Lungs creates meditative journeys through sound, centred around a voice David Keenan deemed “elemental” in The Wire. Very excited to welcome back The Nature Centre, who sit somewhere between punk, folk, prog, and The Bull Ring. The band plays three-minute pop songs, stuffed with ideas like a suitcase packed too late. The members are Beth, Bird, Hamish and Oli, and between them they play guitar, clarinet, banjo, drums, saxophone and coffee cup. And for the first time at CIMB we welcome DJ Rome, co-organiser of Moseley Record Fair and DJ at Moseley Folk Festival who will be digging into his box of leftfield tunes to keep toes tapping and heads bobbing. Benefit gig for ResonanceFM Radio organised by Club Integral and Is Black Music.